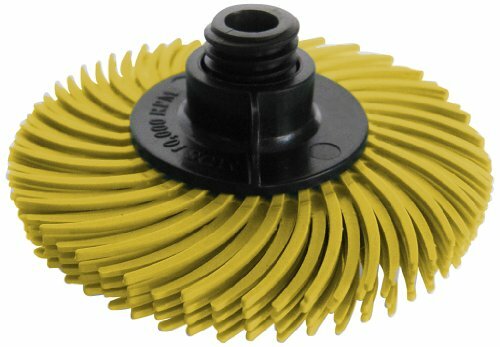 Use for metal: cleans firescale, heavy rust and metal castings, removes deep scratches, deburrs. Use for wood: removes and sets wood grain. Sands, removes stain; ideal for freshly cut wood and carvings. 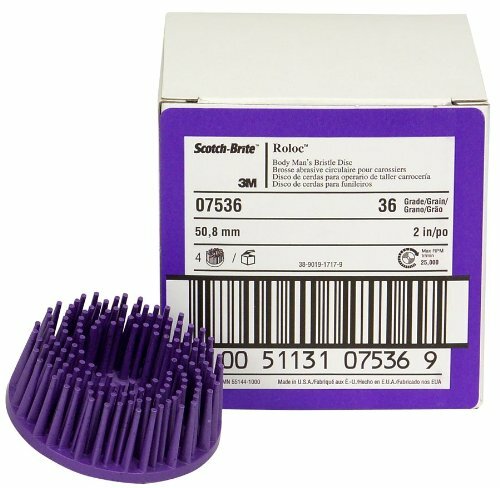 The perfect alternative to wire brushes. 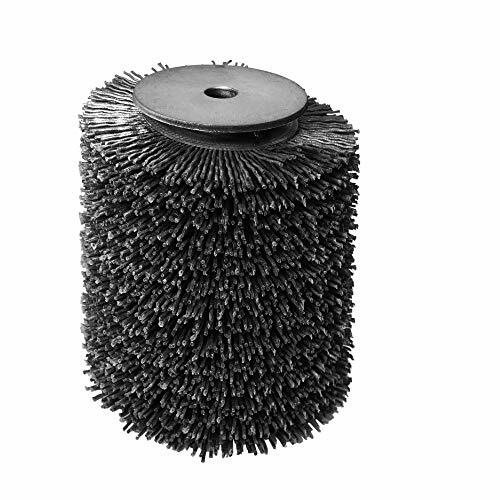 These versatile 3M brushes are excellent on any metal and wood for sanding, cleaning, texturing and polishing. 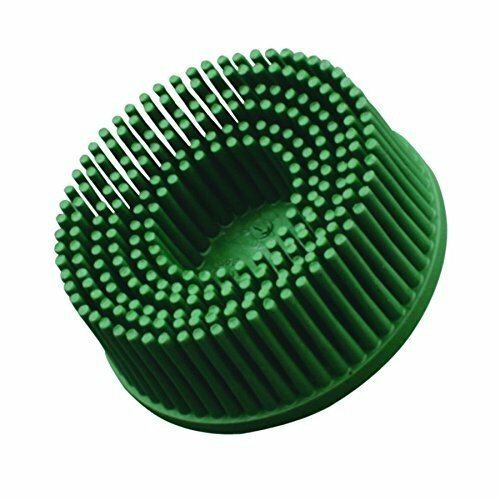 They require minimal pressure and easily conform to tight areas, crevices and contoured parts. Minerals embedded in their flexible thermoplastic composition replace the need for any rouge or compound. Use dry. 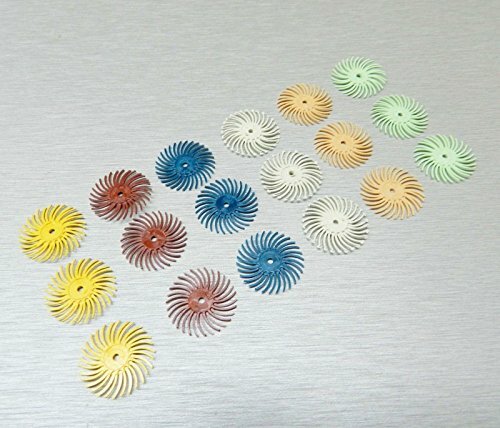 Can be mounted on 1\4" mandrel for freehand use. Yellow color. Grit 80. 4 ply. Size: 2" diameter. 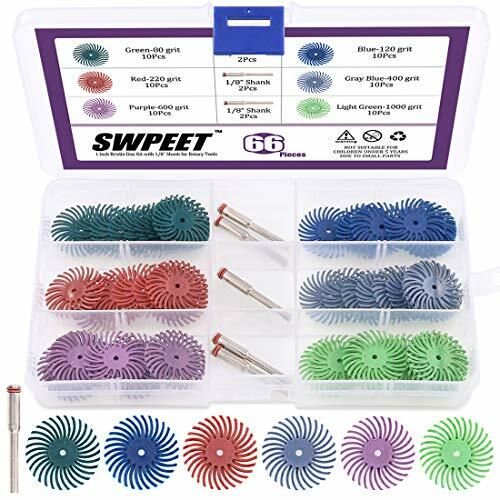 Kit includes: grit 80, 120, 220, 400, 6 micron and 1 micron grade brushes. 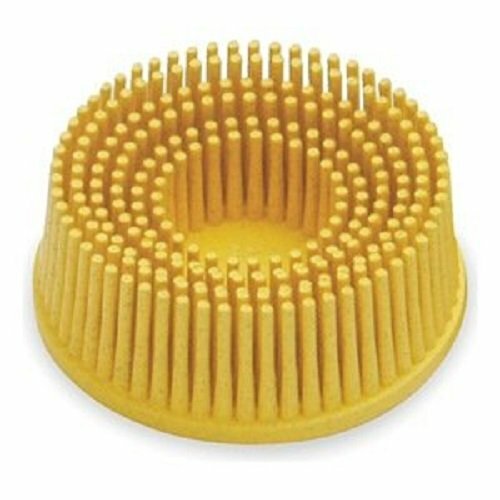 The perfect alternative to wire brushes. 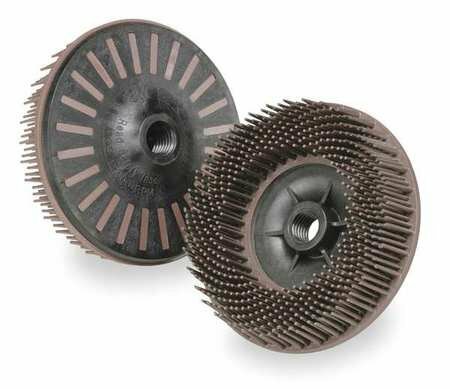 These versatile 3M brushes are excellent on any metal and wood for sanding, cleaning, texturing and polishing. 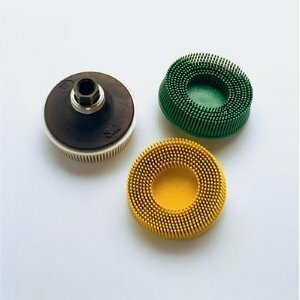 Ideal uses include jewelry polishing, satin finishing watch bands and bracelets, deburring turning tools and serrated knives, cleaning wood carvings or golf clubs among many, many others. 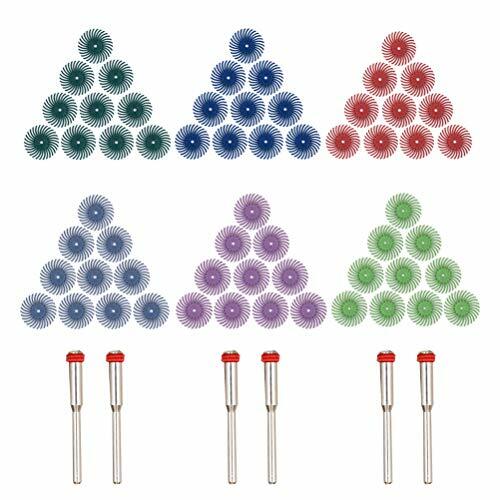 They require minimal pressure and easily conform to tight areas, crevices and contoured parts. Minerals embedded in their flexible thermoplastic composition replace the need for any rouge or compound. Use dry. Can be mounted on 1\4" mandrel for freehand use. 6 ply. Size: 3" diameter. 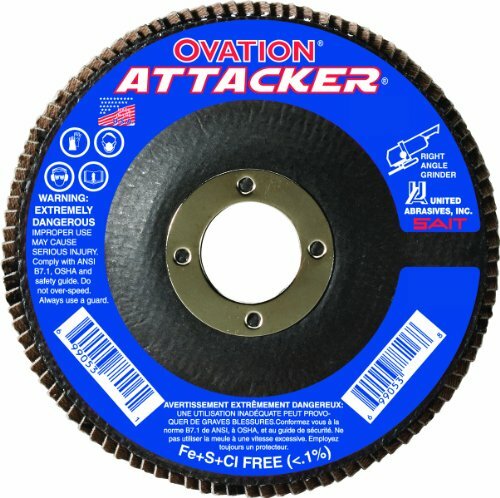 SAIT Ovation Attacker, Conformability, Softer Cushioned Design, Ideal for Irregular Surfaces. Flap design allows the use of light pressure to produce the Perfect Finish. 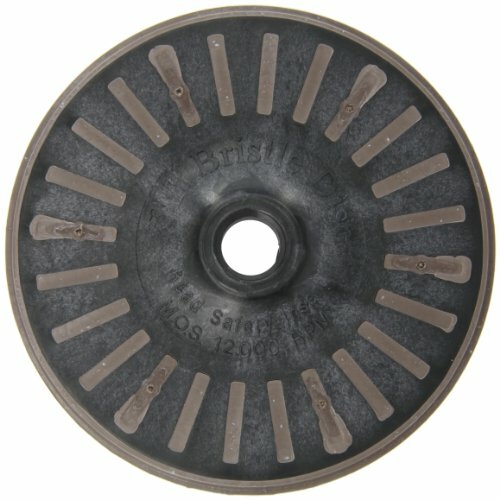 For Use on Stainless Steel, High Tensile Steel, Titanium, Ferrous/Non-Ferrous Metals, Aluminum, Copper and Brass. 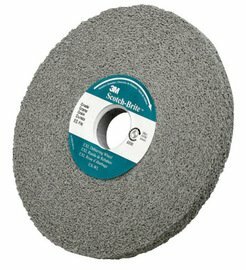 *Note: 20% restock fee on ALL Sait/United Abrasive returns. Warranty: United Abrasives, Inc. warrants that all industrial products it manufactures will be as represented in its catalog and will be free from defects in material and workmanship under normal use for which the product was intended if, but only if, it has been properly stored and used. Our obligation under this Warranty shall be limited to either the exchange of any product proven to be defective under normal use or to refund the purchase price thereof, at our option, within six months from the date of purchase by the original purchaser. The term "original purchaser", as used in this Warranty, shall be deemed to mean that person or company to whom the product was originally sold. 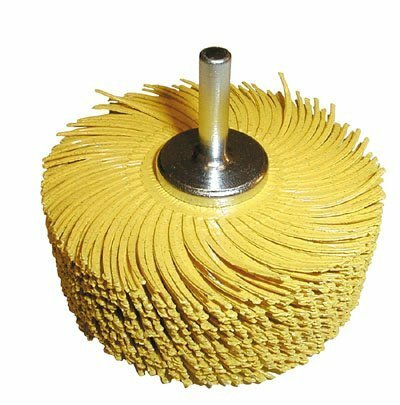 This remedy is purchaser's exclusive remedy against United Abrasives, Inc. for any damages to either person or property caused by any defect or other failure in the product. Said refund or exchange shall constitute a fulfillment of any and all liabilities of United Abrasives, Inc. with respect to the quality of the product sold by it. 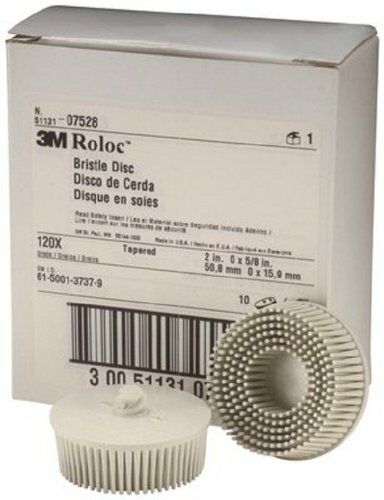 3M Scotch-Brite radial bristle disc thin bristle. 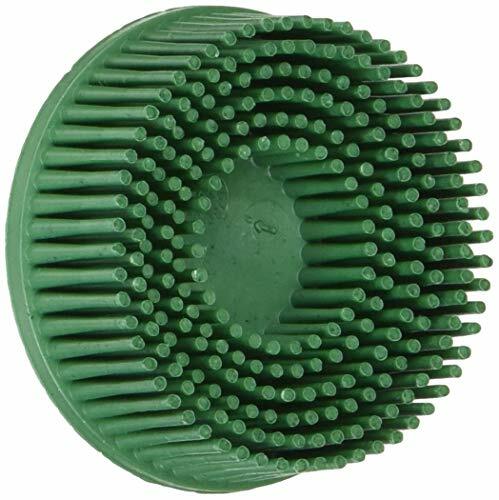 Durable radial plastic disc for deburring or coating removal. Leaves a satin finish. 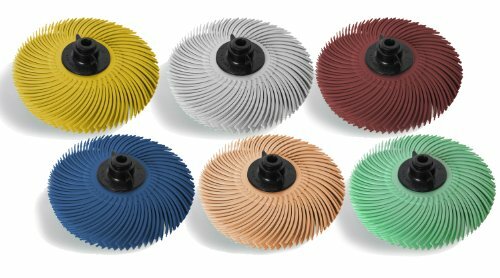 Gang multiple discs to form a brush. Fits portable hand tool or small bench motor. Abrasive mineral: 120 grade Cubitron grain. 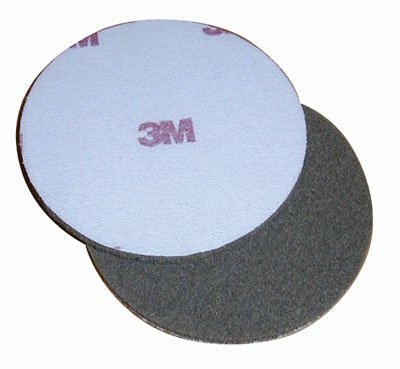 Consistent supply of abrasives. Clean and strips with light pressure. Great for contours and hard-to-reach areas. 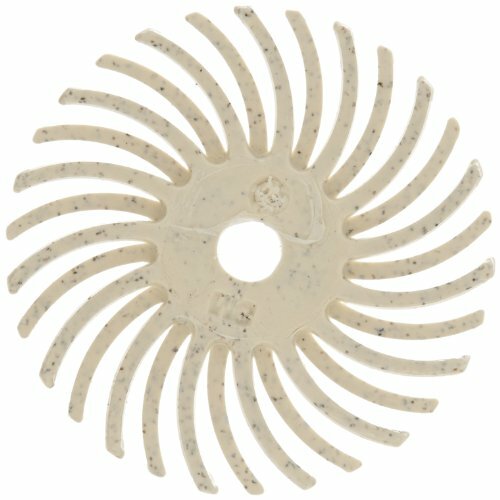 Converted form: bristle disc. Equipment - machines: die grinders. Grade: 120. Max RPM: 35000. Size: 1-inch diameter. Center hole diameter: 1/8-inches. White color. Position: best. Mineral type: ceramic.